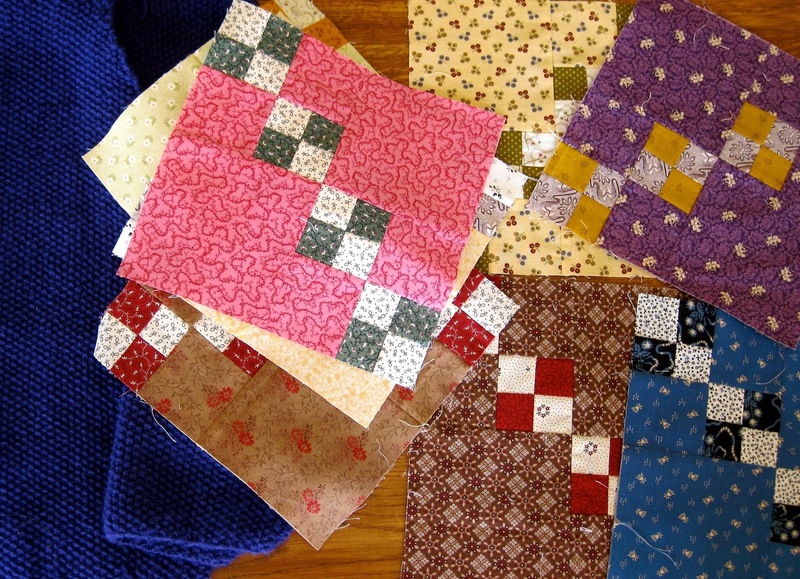 Again I did not progress a lot either in quilting or in knitting. The reason is that I had to spend all the week at my daughter's to help her with her baby because she had a stiff neck and could hardly stand from her bed! I did a few more double four patch blocks, I knitted for a while in the evening in front of TV, and most of all I cooked for us and for my daughter. Among other dishes, I prepared this traditional Greek winter soup called Fasolada, and I took a picture to show you how it looks like. 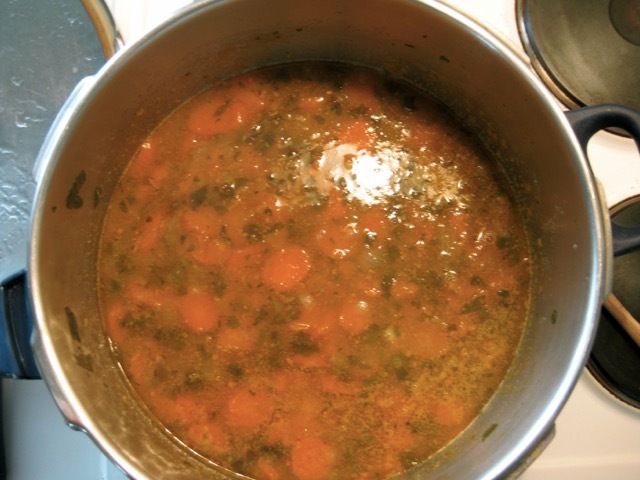 It is done with beans, carrots, celery, onions and tomatoes and of course a lot of olive oil. Mmmmmm. la sopa se ve apetitosa. Las telas son preciosas. 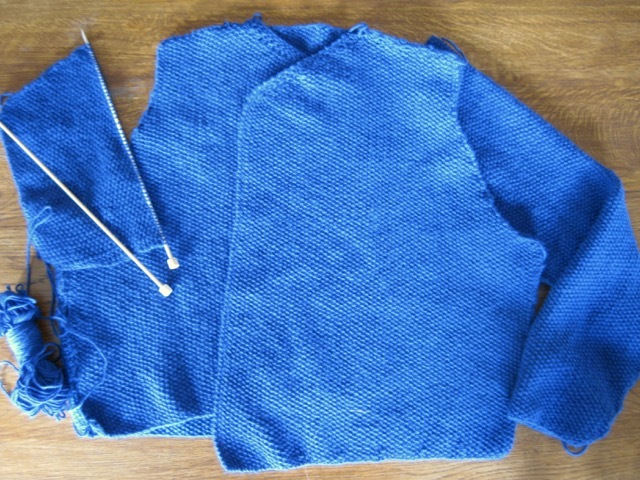 Beautiful colour you have Chosen for the sweater! Your blocks are coming along. So sorry you didn't have much time for stitching but I am sure your daughter is so glad you could be there to help. 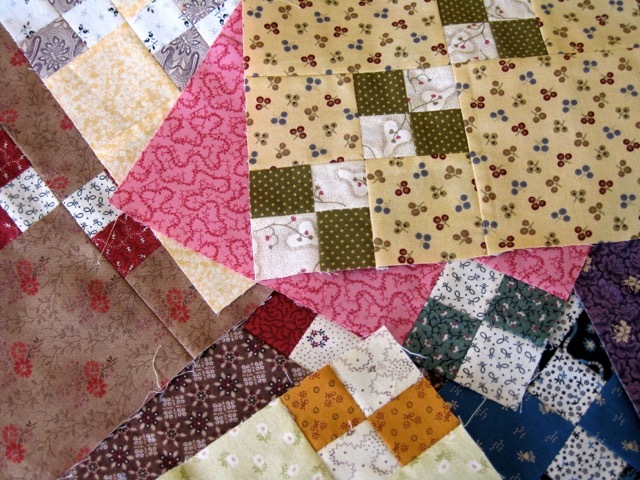 Looking forward to seeing your quilt finished and how you will quilt it. So glad you could help your daughter. I hope you have more time for stitching this week. 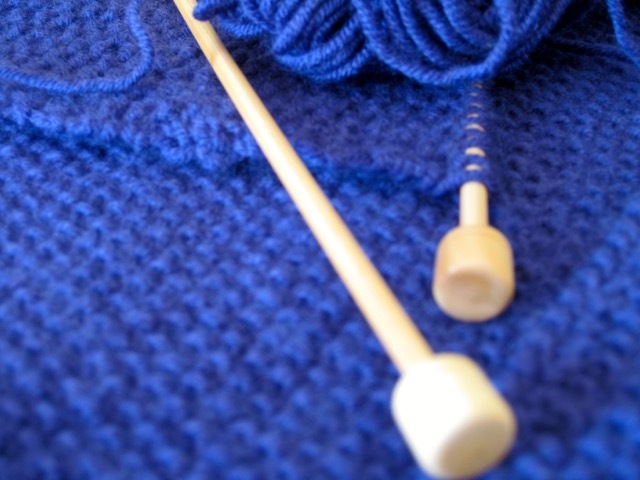 Such lovely texture in your knitting stitches. That soup looks delicious and will hopefully speed up the healing for your daughter. Thanks for linking up! What lovely four patches. What a blessing you were for your daughter. I hope you get more time with your four patches this week. So nice you were able to help out. The soup looks yummy and love the sweater color you chose. Hope your daughter is improving. I love Fasolada and after seeing yours cooking along I am now thinking of all the lovely comfort dishes I shall be making in Winter here in New Zealand. I'm sorry to hear about your daughter's neck but it is good that you could spend time with her. The soup looks delicous. Looks like you're making progress! Enjoy that soup! 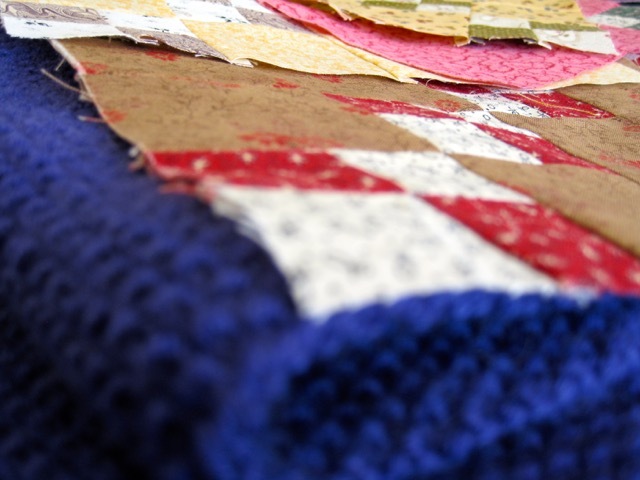 Your double four patch blocks and knitting look great. I'm sure your daughter appreciated the help and the soup! It looks wonderful!